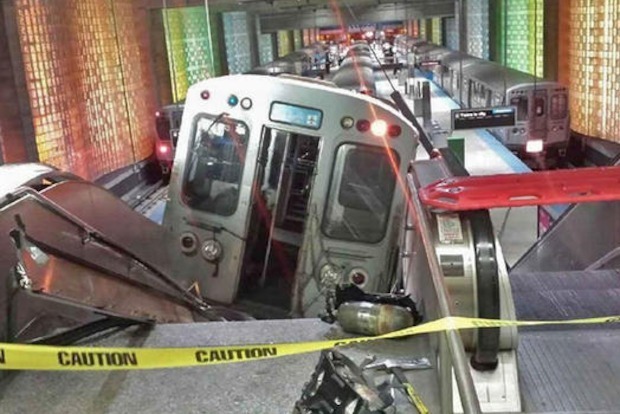 O'HARE — One year ago Tuesday, a Blue Line train failed to stop in time at the O'Hare CTA station. The operator, who admitted to being tired before the crash, was fired by the CTA. She was involved in a similar incident the month before, when she dozed off and failed to stop a train in time at a station. No one was killed in the early morning O'Hare crash, though 35 people were sent to the hospital. Several lawsuits were filed. "It was a scary thing to see," Robert Kelly, president of Amalgamated Transit Union Local 308, said following the crash. "If this would've happened three hours later I have no doubt there would've been multiple fatalities." The crash also caused $9.1 million in damages, including to one of two escalators that was replaced with stairs. While the other escalator switched directions to take people up to the terminals, there will be soon a second escalator that will allow weary travelers to avoid walking on stairs, said agency spokesman Brian Steele. "This escalator is being custom fabricated for the O’Hare station, and is a complex project in a comparatively tight space," Steele said. Construction is expected to begin sometime in the coming months. The station will be back to pre-crash form by the end of the year, Steele said.